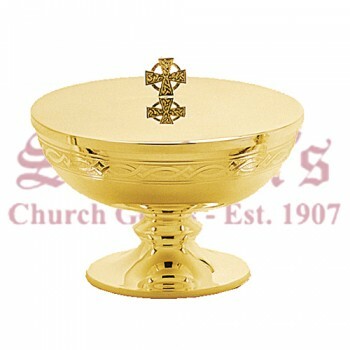 A ciborium or communion bowl is a type of vessel that is used to hold the hosts for the Eucharist. 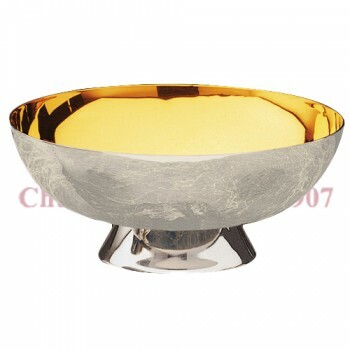 The vessels are typically made of metal and have a lid. 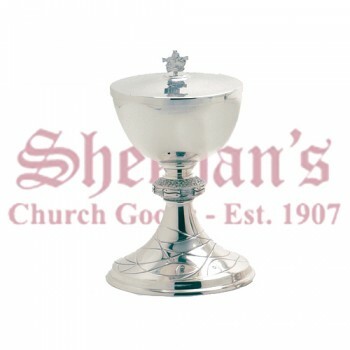 Ciboriums tend to be raised on a pedestal, similar to a chalice though more rounded than conical. 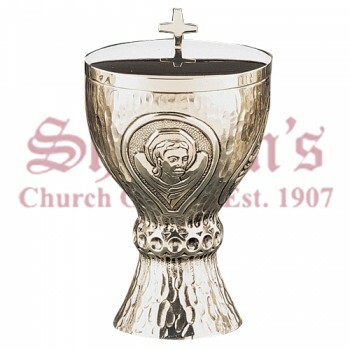 In the early days of the church, the host was not kept at the church for fear of sacrilege or desecration, though individual homes often kept a ciborium handy for the Last Rites when needed. 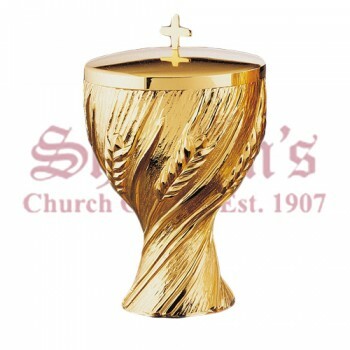 Today, churches keep the ciborium in the tabernacle or ambry. 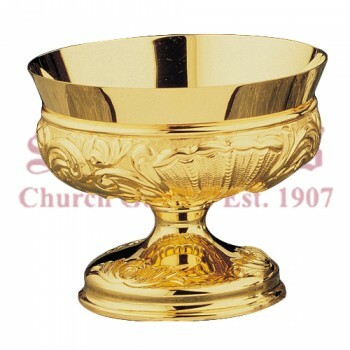 It is typically made of (or is plated with) a precious metal. 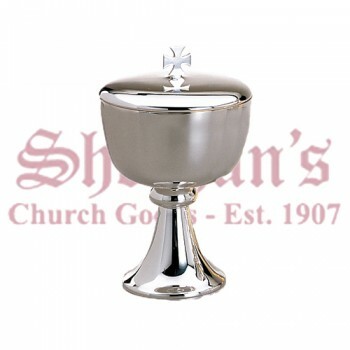 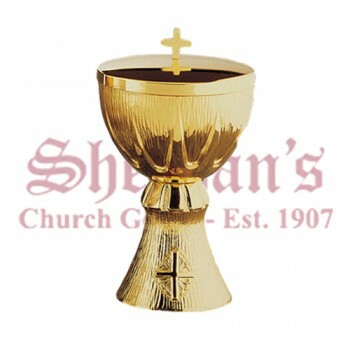 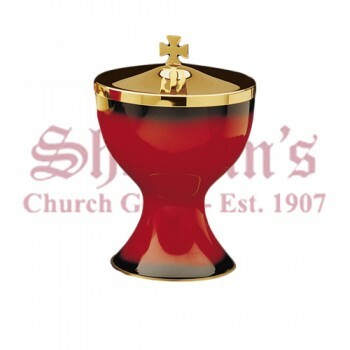 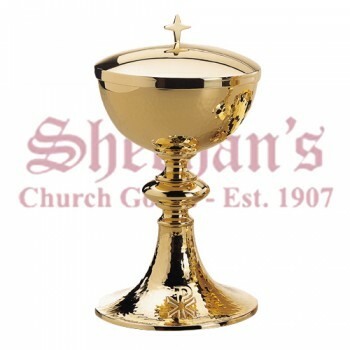 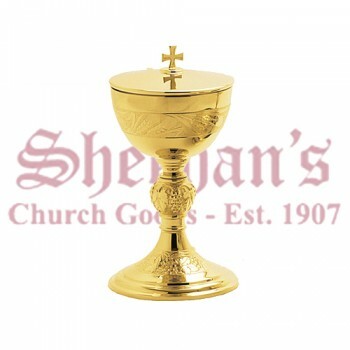 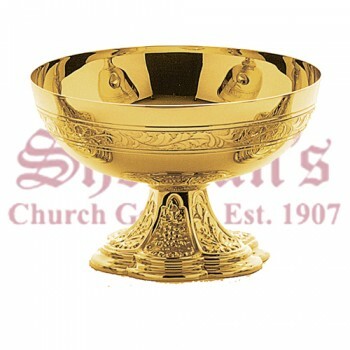 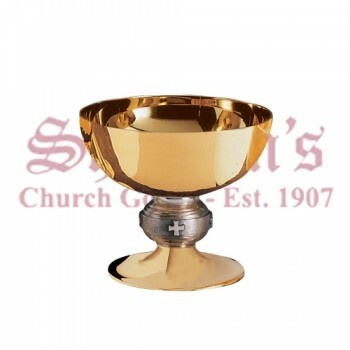 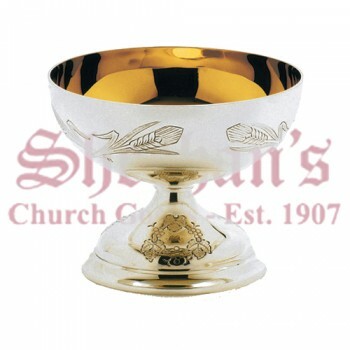 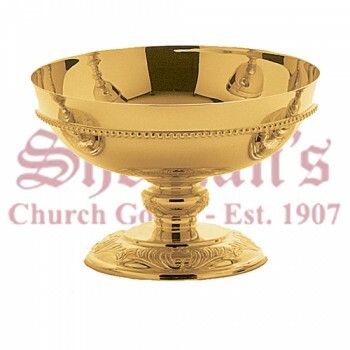 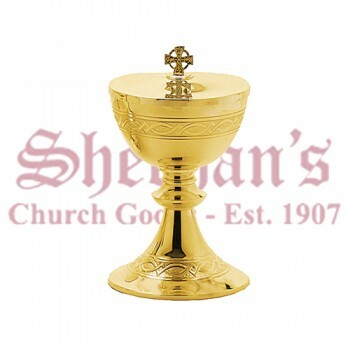 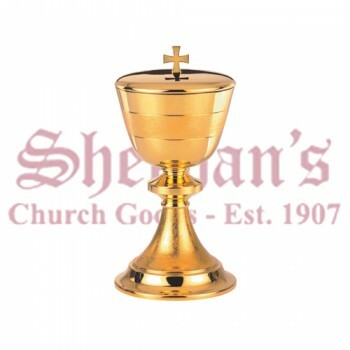 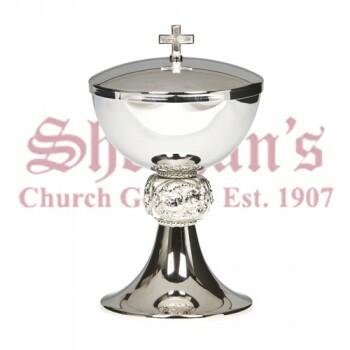 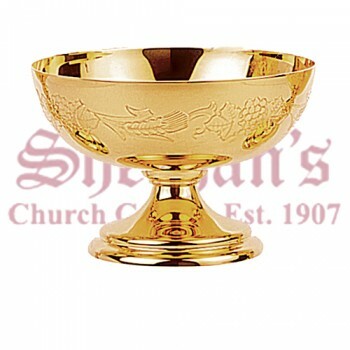 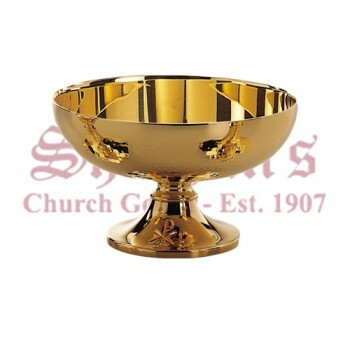 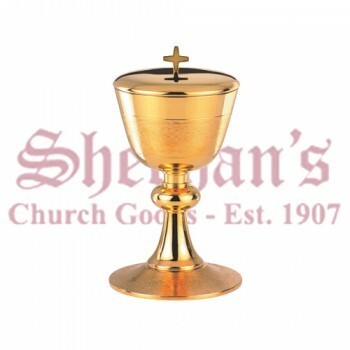 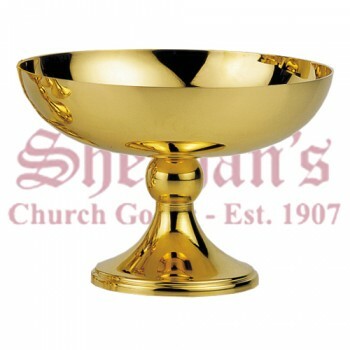 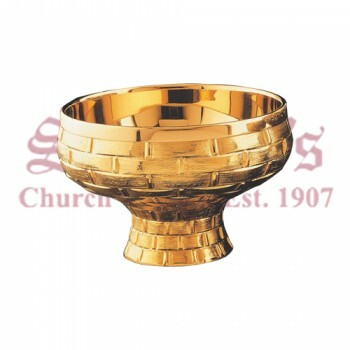 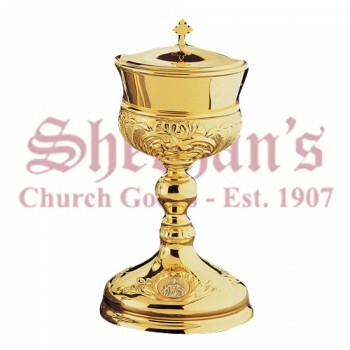 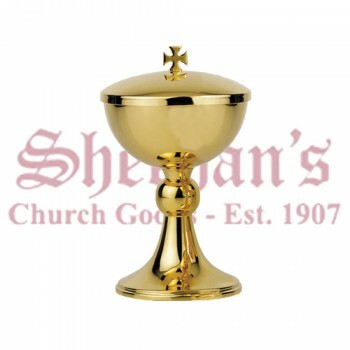 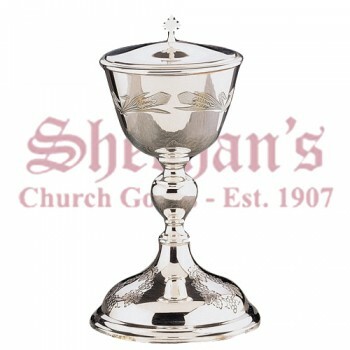 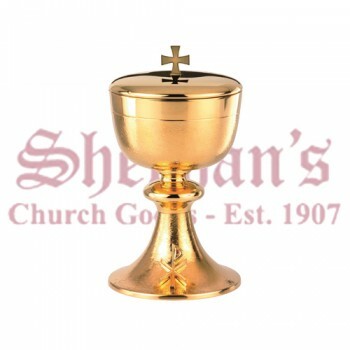 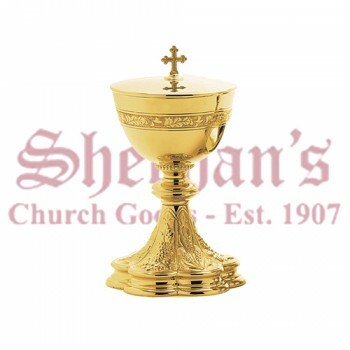 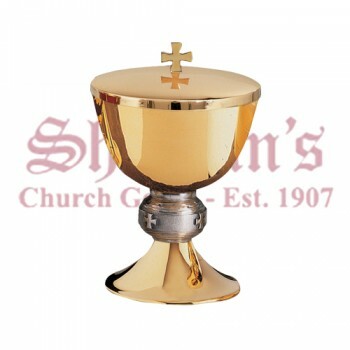 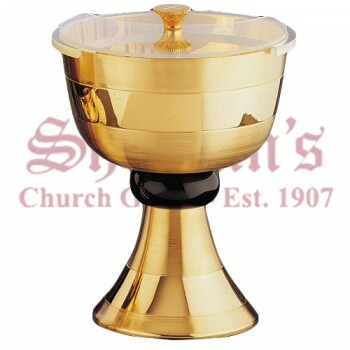 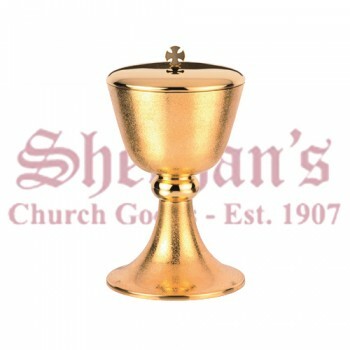 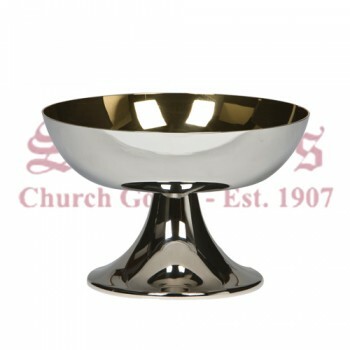 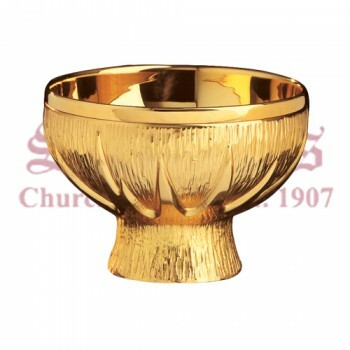 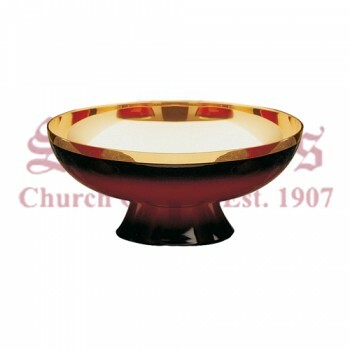 Matthew F. Sheehan carries a large selection of ciboriums or communion bowls to choose from. 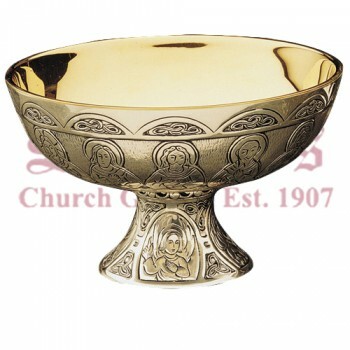 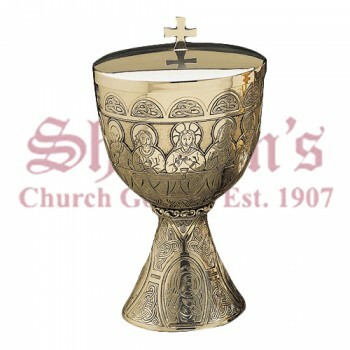 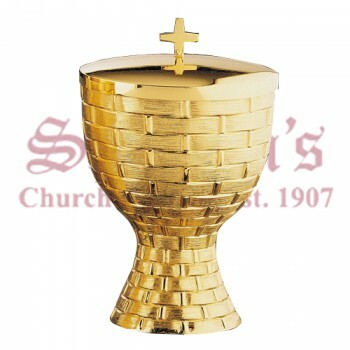 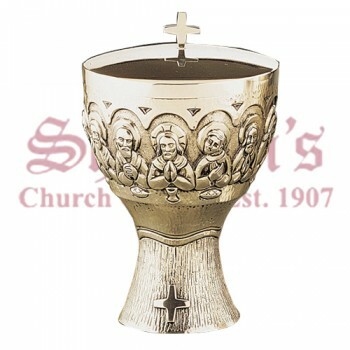 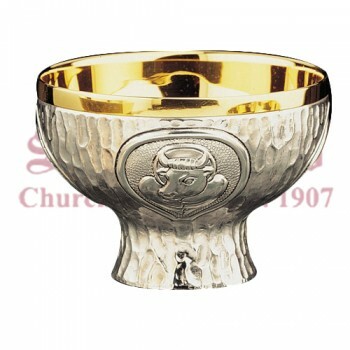 Designs range in shape and size, though most traditional ciborium bowl styles include a cover. 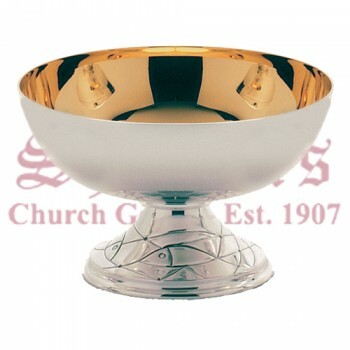 Open styles are also available. 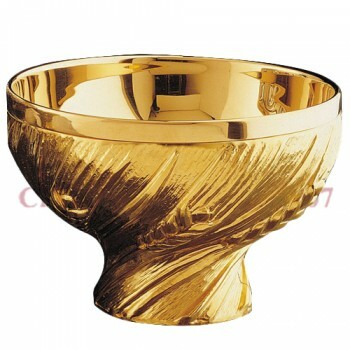 Many of the high-end designs include an impressive degree of detailing. 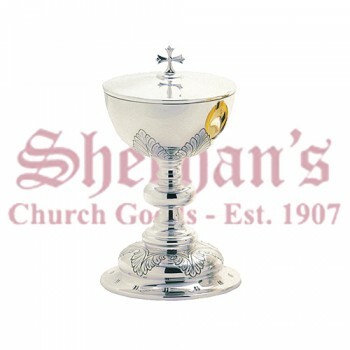 Crosses are common in the designs and most pieces are made of either silver or gold. 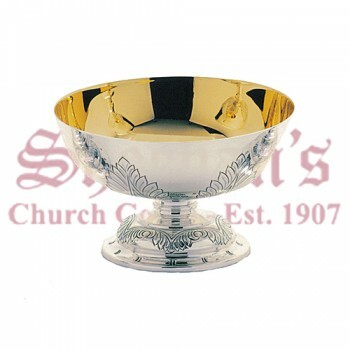 Select styles are able to be engraved for a small additional fee. 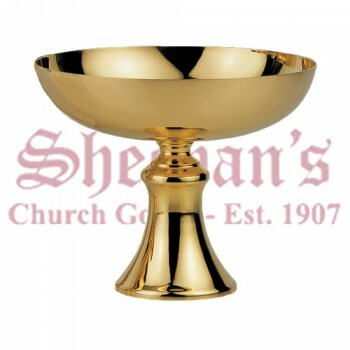 Trust Matthew F. Sheehan for the finest selection of high-quality ciboriums or host bowls. 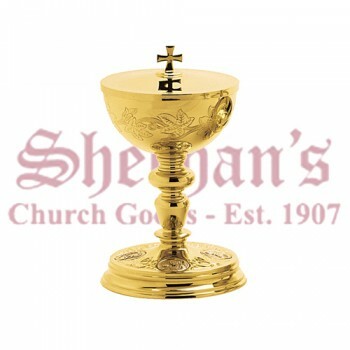 We have been serving the faithful for over 100 years and have the experience you need to get the quality products you want. If you have any questions or need help making a selection, our knowledgeable and friendly customer service team would be happy to help.